Think about it—how many personalised accessories do you have sitting on you right now? Probably at least a phone case. Maybe an initial necklace, too. Personalisation is at an all time high—and we no longer see it as a trend, but the way forward for many brands. Back in 2015 we reported on the rise of our initials as our best accessory, and four years later, we're only getting deeper into the personalisation process (from targeted ads, to sneakers). One jewellery designer who has been playing in this space for close to a decade, is Natalie Marie. At its heart, the brand's message is around connection and sentimentality. It's become a go-to for gifting (either to self, or a loved one), and at its core combines personalisation with fashion-forward statements. The Avalon-based jeweller (and favourite of Meghan Markle pre-and-post royal title) recently invited us into her new studio (which, by the way, we implore you to check out) and we started chatting away abut the rise and rise of personalised jewellery, and the intricate process involved in owning a piece of Natalie Marie magic. Keep scrolling. "We have different facets of our service and different levels of customisation, from simply adding personal engraving to a necklace, through to a fully bespoke experience of creating a one of a kind engagement ring. For a simple personalisation such as on our initial signet rings; our clients select the design, any embellishments and their engraving, they are then measured for ring size. The ring is then crafted to size and engraved with the chosen initials. Jewellery has a unique potential to become really sentimentally significant to the wearer, and tailoring pieces to hold as much individuality as possible is really valuable. Essentially everything we create is personalised to some degree. Every piece ordered via our online store is handmade to order, and usually has some level of customisation involved. We really encourage this personalisation as it enables customers to create a higher level of connection with the piece they are ordering and ultimately wearing. The most popular customised pieces at the moment are signet rings, initial necklaces and initial bracelets." "Initials or family crests are really traditional ways of personalising jewellery, signet rings especially. So much antique jewellery is personalised in this way. I think people are craving more of a personal touch, and more of their own imprint in their jewellery. 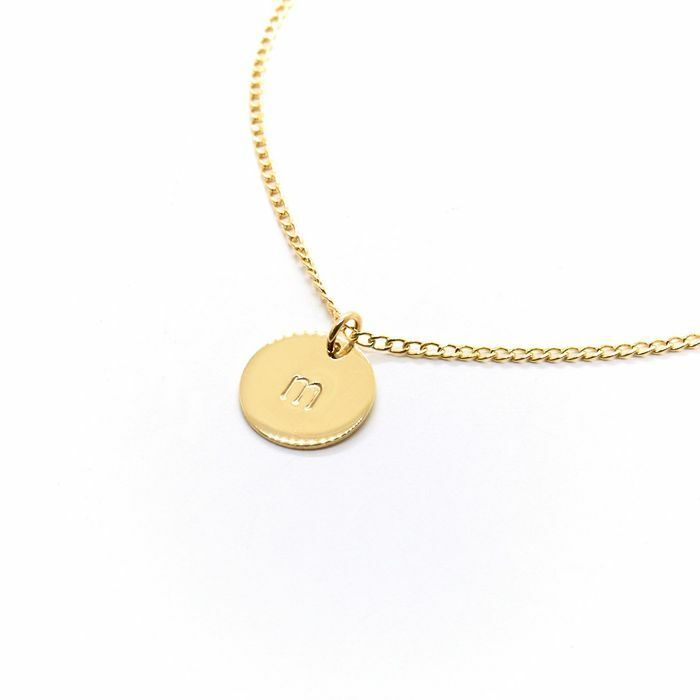 As an extension of this, wearing initials of our loved ones, little ones or family members offers a unique way to convert our strongest sentiments into something tangible and wearable."